Arsenal are yet to sign anyone in January, but could a deal be close? Will Arsenal strengthen in the January transfer window? We look at potential ins and outs and consider which positions need filling. After a strong start to the season, the Gunners' form has dipped in the last month. They have seen Danny Welbeck, Rob Holding and Hector Bellerin all suffer season-ending injuries. 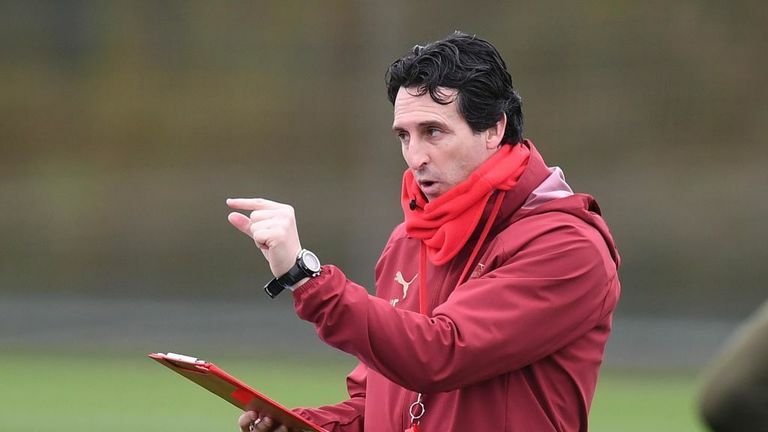 Unai Emery has said Arsenal will only be able to sign players on loan this month, so who might they bring in and who could leave? Arsenal are unlikely to sign a replacement for Bellerin this month, but they could still look to strengthen the defence as well as the midfield. Only two teams in the top half of the Premier League have conceded more goals than Arsenal this season and boss Emery said at the start of 2019 that the challenge is to "improve defensively", although Laurent Koscielny's return from injury has been a boost. The midfield has been regularly rotated, while Mesut Ozil has not played since Boxing Day. His absence has sometimes left the Gunners short of creativity. 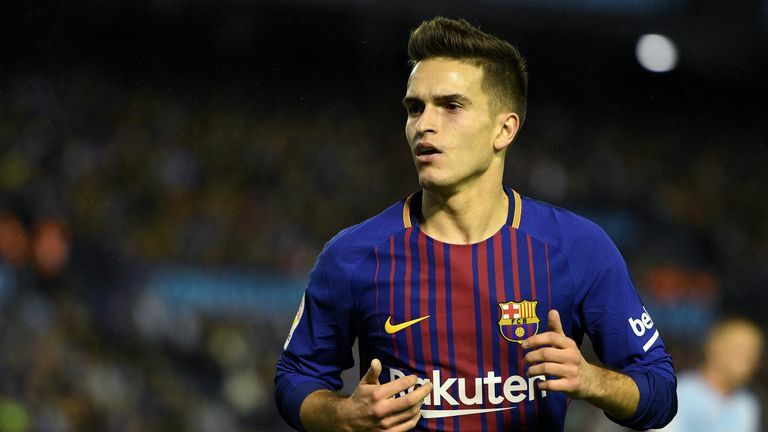 Denis Suarez has been strongly linked with a loan move to Arsenal from Barcelona. It is understood midfielder Suarez is keen to reignite his career under his former boss Emery, who he played under at Sevilla during a loan spell in the 2014/15 season. The 25-year-old can play out wide or in the middle. 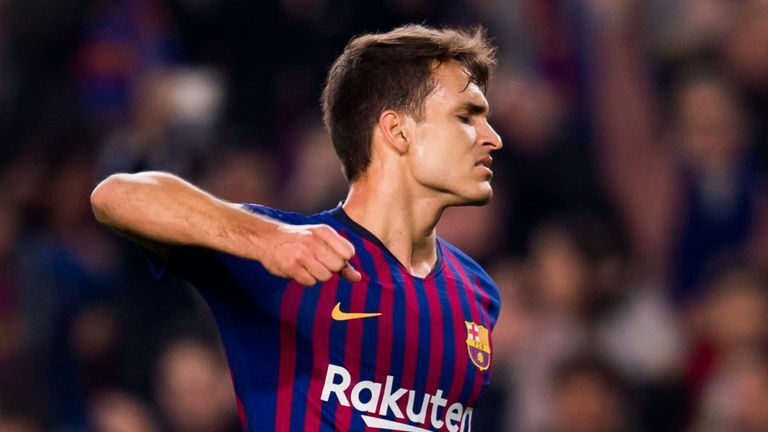 He was left out of Barcelona's squad for their Copa del Rey fixture against Sevilla on Wednesday, with manager Ernesto Valverde saying: "It is true - it is possible that Denis will leave but I don't know what will happen." Another of Emery's former players, Ever Banega, has been touted as a potential target. Asked about the Sevilla midfielder this month, Emery said: "I know this player and he's a very good player." An intriguing prospect could be James Rodriguez. The Colombia international is on loan at Bayern Munich from Real Madrid but has struggled for a regular starting spot. The Independent says Arsenal have investigated the possibility of signing Rodriguez on an initial loan deal. It is reported that "Bayern would not be averse" to a loan move. Like Rodriguez, Gelson Martins is short of minutes at Atletico Madrid and O Jojo claims Arsenal are interested in signing the winger. Belgian football expert Kristof Terreur told the Transfer Talk Podcast that former Atletico Madrid winger Yannick Carrasco has been offered to Arsenal, but they cannot afford to buy him. With Petr Cech retiring at the end of the season there was a report that Arsenal had made a bid for Real Madrid goalkeeper Keylor Navas, but Emery said that was "not true". It looks unlikely that Arsenal will sell any players this month. Sky in Italy have reported Aaron Ramsey has signed a pre-contract agreement to join Juventus from Arsenal in the summer. According to The Independent, Ramsey could be allowed go to Juventus this month if Arsenal can sign Suarez and Rodriguez. "Arsenal are now showing their true colours. Until they sort out the defence, they won't be able to achieve anything. "Unai Emery will need a few windows to sort it out but the players they've purchased haven't been great. Everyone was raving about Lucas Torreira, but he's not that good. I said this a few months ago and everyone kicked up a stink. He only looks good as he's what Arsenal have needed for a long time, someone to run around and put their foot in. But, if you put him up for sale tomorrow then none of the top five clubs in the Premier League would be interested. "They should sign Abdoulaye Doucoure at Watford - he'd walk into the team. I'd take him tomorrow morning. He's a much better player than Torreira and he scores goals. He's one of the most under-rated players in the Premier League - he could play for any of the top six. "It seems no-one pays attention to him because he plays for Watford and fans will say, 'Why are we buying him, he's at Watford?' - but he's a proper player. Is there any way back for Mesut Ozil? You'll have to ask him. Arsenal won't be able to buy anyone until they can get him off the books." Whether or not Arsenal's transfer activity is affected by the imminent departure of head of recruitment Sven Mislintat is unclear. Mislintat was involved in the signings of Pierre-Emerick Aubameyang and Henrikh Mkhitaryan last January, but there have been reports of friction between him and Emery. But Emery has said Arsenal "need and can" make January signings, as he revealed they are seeking "one or two" new players during the January transfer window. "I don't want to speak about individual players, because I know the club is working," Emery said. "The club is working on the possibility to take some players who can help us during the next four months. Previously, Emery has said Arsenal will only make loan signings and Suarez looks to be the most likely addition.